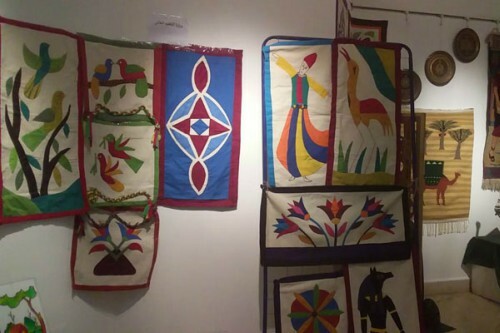 “Traditional Crafts — the Heritage of Humanity and Egyptian Identity” was the title of this year’s annual Festival of Traditional Crafts held for four days from 28 October at the Mahmoud Mokhtar Museum in Cairo to boost the manufacture of traditional Egyptian crafts that reflect Egyptian identity. Traditional crafts reflect the high artistic sense of Egyptian craftsmen, and they are also a key attraction for tourists in Egypt. 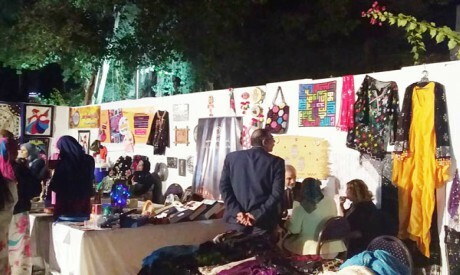 Salwa Al-Sherbini, head of the Central Agency for Crafts Production, told Al-Ahram Weekly that traditional crafts had been affected by the decline of tourism seen after the 25 January Revolution, but that the Ministry of Culture and Fine Arts Sector were making great efforts to preserve the industry and compensate for any decline in the number of tourists. The Festival of Traditional Crafts has been held for the last 11 years and exhibits various hand-made crafts, including items in wood, copper, mother of pearl, leather, papyrus, glass and textiles. “The festival is a great opportunity for craftsmen to display their work as well as for customers to buy traditional crafts at reasonable prices. The latter are regulated by a committee set up before the festival, and this means that some prices outside the festival can be almost double,” Al-Sherbini said. “I started to work in this industry years ago,” said Atef Ali Sulliman, a craftsman displaying papyrus at the festival. Sharqiya governorate is now the only one that plants papyrus, and craftsmen typically paint Coptic, Islamic and Pharaonic designs on it. “Tourists prefer Pharaonic designs, though we also do custom-made designs, like writing names on papyrus. We use special patterns for each design, with gold being a standard colour,” Sulliman said. Besides displaying his work at the festival, Sulliman also markets his papyrus in bazaars in Luxor, Sharm El-Sheikh and Hurghada, as well as at Khan Al-Khalili in Cairo and at the Pyramids area. However, the bazaars can sometimes charge high profit margins, he said. “We as craftsmen would like to see the Ministry of Culture support us with more events that can help us to market our products,” Sulliman added. Al-Sherbini said that one main challenge craftsmen are facing is the increasing price of raw materials. On marketing, she highlighted the special outlet in Qobbet Al-Khouri in Cairo for craftsmen to display their artwork and crafts. “My designs focus on two traditional Egyptian designs, the Islamic and the Pharaonic. 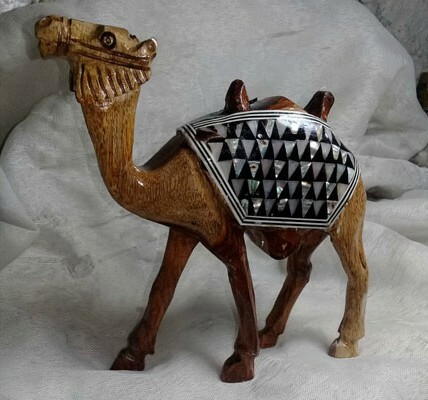 The raw materials are 100 per cent Egyptian, since Egypt is very rich in the raw materials that contribute to glass-making,” said Ahmed Abdel-Wahab, who specialises in glass ornaments. “The manufacturing is a traditional process, and the craftsmen I work with are keen to use the same traditional manufacturing procedures that have been used for centuries. It is also important to note that the glassware we make is user-friendly. People sometimes think it is only for decoration, but all the products we make are made to be used. We make complete tableware sets, for example, as well as candle-holders for weddings,” he said. Abdel-Wahab said that traditional Egyptian crafts had a significant competitive advantage. “It gives Egypt an edge that can easily attract international markets. With our crafts, we can compete worldwide, especially as international customers often want Pharaonic designs,” Abdel-Wahab said. He said that the main challenge the glass industry was facing was the increasing price of raw materials and fluctuating gas prices. 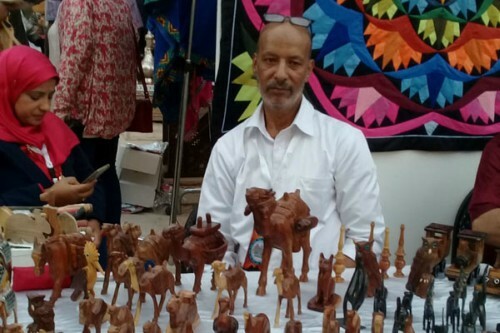 Khaled Sulliman, a craftsman specialising in wooden crafts, said that these go through a long process of manufacturing, starting from plaques to crafting attractive statues. “Wooden crafts are my passion. They have a unique appeal that is different from anything made by machine. Tourists very often buy these hand-made items as souvenirs. My designs are various, though camels tend to sell the best,” he said. “Mother of pearl can also be used as an ornament in certain designs,” Sulliman added.